and explore the latest research and best practices for your classroom and school. 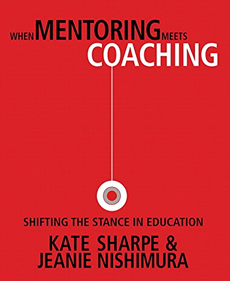 Mentoring is often viewed as an effective approach to minimize the isolation that leaders experience, whether they are new to a position or dealing with new initiatives. Similarly, coaching is seen as an effective means to help people build personal and organizational capacity. As a principal, your days are filled with decisions. How do you keep student learning central to your work and the school’s mission while managing all of the mandates and administrative work? 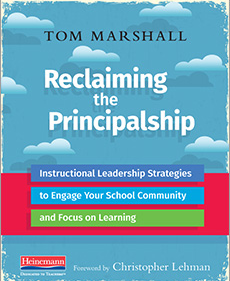 With Reclaiming the Principalship as your road map, you will discover how to let learning guide the many decisions you make each day. How can teacher leaders cultivate an adult learning environment that will upgrade teaching capacity system-wide, and ultimately improve student learning in every classroom? 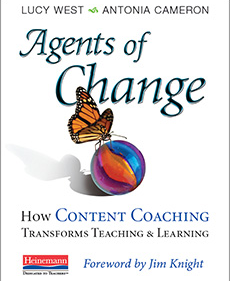 Lucy West and Toni Cameron turn decades of experience designing and implementing coaching initiatives into a practical resource for transforming school culture and inspiring true learning at every level. 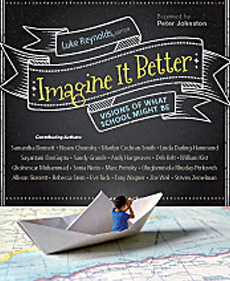 Imagine It Better features 18 provocative invitations from some of the most brilliant and creative minds in education today, including Tony Wagner, Andy Hargreaves, Noam Chomsky, and Linda Darling-Hammond, that focus on the present tense of school reform: what you can do to improve the instruction in your classroom and school today. Each essay tells a story of what can be—with the heartbeat of imagination and a fresh vision of possibilities. What does it mean to be an effective literacy coach? 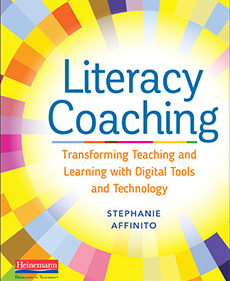 Former teacher and veteran literacy coach Stephanie Affinito shares a core set of beliefs about literacy coaching and how it can transform teacher and student learning. While chart paper, sticky notes, and notebooks will always be essential teaching tools, Stephanie shows that by thoughtfully incorporating digital tools into your coaching, you can personalize teacher learning even more and provide greater options to increase motivation and collaboration.